"Che chi trovò gli scacchi o il tavoliero. che l?età nostra non basterebbe a sapello"
and subtle tactics that your entire life will not be enough to master it"
The object of the game, as in Poker, is to attain the highest possible hand, or to bluff your opponents. Standard English rules leaflet included. 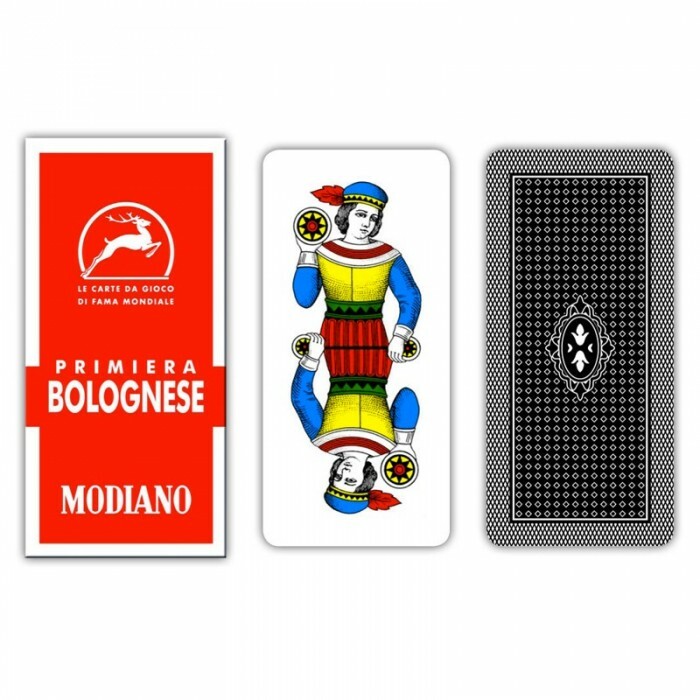 Card deck suitable for games like: SCOPA, BRISCOLA etc.